We have multiple diesel cleaning service locations to serve you. 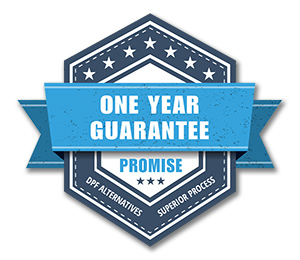 Learn about our program & become a DPF Alternatives franchisee today! Your vehicle’s Diesel Particulate Filter helps safeguard the environment, and our proprietary Ultrasonic DPF cleaning process safeguards your wallet. Our ultrasonic DPF Cleaning Service is the only proven method for thoroughly cleaning every cell in the DPF to like new condition. DPF Alternatives’ cleaning system reduces costs by extending the useful life of your filters. We’re so confident in our technology, we offer our customers a no-hassle, industry leading, one year performance guarantee. Our superior cleaning process restores components to OE specifications; guaranteeing better fuel economy and more useful life from every DPF filter. Our proven Ultrasonic cleaning method utilizes proprietary high frequency sound waves at millions of impulses per second to break down the built-up soot and ash. Our specially formulated solution flushes particles away and keeps them from adhering back to the cell walls. DPF Alternatives offers superior DPF cleaning services as an alternative to costly OEM replacements. My Truck Is Running Awesome!! !